This is Hideo Baba, producer for the Tales of series for Namco Bandai Games Studios. I am very excited to announce to all of our Western fans on behalf of the entire Tales of team that we will be localizing Tales of Xillia 2 exclusively on PlayStation 3 in 2014. Over the past year I have had the opportunity to meet with more and more Tales of fans by attending consumer events throughout North America and Europe. I would like to thank you all for being such loyal fans of the series and for helping spread the word for the series to other gamers across the Internet. Tales of Xillia 2 will build upon the world and lore of Tales of Xillia, available on August 6th, 2013. The game’s story is set a year after the climactic end of Tales of Xillia and will revolve around Ludger Kresnik, a run-of-the-mill man who lives with his brother and cat, and Elle Marta, a young and dependable girl who Ludger meets by chance. The main theme for Tales of Xillia 2 is “choice” and that theme is deeply engrained into not only the storyline, but in the gameplay mechanics as well. 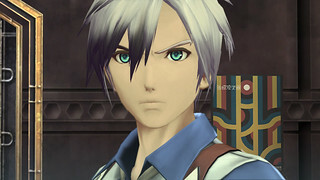 Throughout the game the player will have to make decisions for Ludger that will cause the story to branch out in a new direction. In addition to these key decision moments, the idea of choice is also reflected in the new Weapon Swap mechanic while in battle. Players will be able to switch between three main weapons; a sledgehammer, dual pistols and dual blades in real-time during combat. In addition to the new Weapon Swap system, the linking system returns from Tales of Xillia. Players can link to any active party member in battle to team up and destroy enemies with support attacks and powerful linked artes attacks. We will have a lot more to talk about regarding Tales of Xillia 2 as the year continues. Please be sure to pick up a copy of Tales of Xillia in a few weeks, as well as Tales of Symphonia Chronicles — also exclusive to PS3 — early next year. 残念です。The best Tales game is still a 360 exclusive in the West. Awesome news! Now just gotta wait and hope KT will bring over Escha & Logy albeit that’s unrelated to bandai namco. Good to know at least the Tales series will be continuing in the US, and even better that at least this one will be an exclusive. Oh and please bring over the costume DLC! As much as I usually don’t like DLC in games, when it’s cosmetic and can make it so much more fun (or refreshing for a second playthrough) I really like that kinda thing. Please don’t leave us hanging with just the unlockable in-game costumes! I’m still waiting on IM@S in Graces. @54 Um…I seriously doubt we’ll be getting the Idolm@ster and Madoka Magica costumes for ToX1 and 2, respectively. You know….licensing issues and all. @54 But I’d like to at least see the DLC that came with the single for Ayumi Hamasaki’s “progress” in Japan. Between this and Symphonia HD Collection I’m one happy camper!!!! Looking forward to my Xillia Collector’s Edition next month! YES!!! I love how Tales of Xilla looks to use more older characters. Being that I love almost all the JRPGS from the PS1 era, this era in gaming was tough as I expected new JRPGS. When we got them they were all “MOE” trash with girls that looked like my 8 year old daughters age as characters… I hate that crap and It wasn’t like that in the PS1 era, or PS2, I don’t know what changed this gen.
My first tales games was Tales of the Abyss, and that game is great. I just wish it was I had a tales game for the vita. 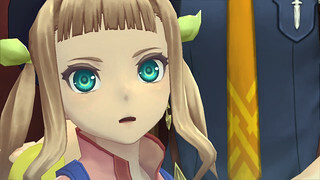 Does Xilla and Xilla 2 play like Tales of the abyss, or is it more like graces f? (which didn’t appeal to me so I didn’t buy that one). already have my Xillia Collector’s Edition pre ordered. give us JPN Audio as DLC for Xillia 1 and Xillia 2 and i would buy the hell out of it Day 1.
you have all of this BS Costumes DLC, and map packs, why can’t we have this as well? thank you Namco for bringing the wonderful series outside of japan. more people need to experience the Tales Series!!!!!! Day 1 for Xillia 2 also!! announced a collector’s edition with figurine please! Thank you Hideo, you’re a testament to the industry. I got my collectors edition for Xillia 1 pre-ordered and ready to play whenever it comes out. I cannot wait for 2! Thank you so much for releasing Tales of Xillia 2 in US/EU. It would be great if it includes dual audio and in future releases as well. Can you please release Tales of Vesperia in US/EU, please? Overjoyed at this news. I will be buying all three titles (Xillia 1 & 2 and Symphonia Chronicles day one). I bought Graces F on the first day, as well. @ 37: Fullmetal Alchemist isn’t really a fantastic example. While the English dub is better than most English dubs out there, the original voices of Romi Park and Rie Kugimiya are among the best that Japan has to offer. But anyway, dual audio as DLC is a terrible idea, just on principle. Why would anyone be satisfied with publishers making their customers pay for something that doesn’t cost them any extra time or resources to provide? The voices are already done and programmed into the game. Removing it to sell to fans is anti-consumer. Even if you don’t care about JP audio, you shouldn’t be OK with a company taking advantage of consumers like that. It would be no different than removing weapons from the game for the sole purpose of selling them as DLC. Extra weapons, sure, DLC them. Weapons already developed and programmed into the game’s drop table? No way. There’s something weird if you look at Tales of Xillia / Xillia 2 logos then look at Final Fantasy XIII / XIII-2 logos…. why Namco chose to use those colors? Also, this is super cool of Namco Bandai, but it would be pretty rad if Sony and Square Enix stopped being sillies and released the tri-Ace PSP remakes on PSN. Valkyrie Profile: Lenneth, Star Ocean: First Departure, and Star Ocean: Second Evolution deserve to be in any JRPG fan’s digital library. Day 1 buys for me, no questions asked. @ Novasakii: The reasoning I’ve seen from Bandai Namco and other smaller publishers is that the projected increase in sales they would get from including the Japanese audio wouldn’t offset the cost of licensing those actor’s voices for use overseas. Since a lot of game voice actors are idols, or do music, tv shows and movies, they all belong to agencies, and the contracts can get pretty specific. If they don’t license the actors for international work when they first record, they have to go back and purchase a new license to use those voice tracks in the English release. And since Bamco hasn’t exactly been releasing a lot of their Tales of games in the US lately, I don’t think international licensing has been on their mind. While they could definitely do it, it DOES in fact take extra resources (in this case, $$$). There is no plans to bring the Tales games for Vita to the West, duo to low sales (Quote from Baba). So no Tales for Vita in the West, unless it pick up sales. I’m so glad i preordered Xillia now. Thankyou Hideo Baba, thankyou Namco Bandai! VERY happy to hear this. I’ve always complained about games in the series not being localized like Innocence, Rebirth or Hearts. I’m preordering Xillia 2 ASAP. Although I have played only 2 Tales games as Tales of Grace f and Tales of Xillia Japan, I love this series beside FF. Why don’t they just add English subtitle instead of English Dubbing, which will reduce the cost and delay time? I love Japanese voice and just need some translation texts in menu context and dialogue to comprehend the content and enjoy playing. So please boost up the localization to release this series with English language as soon as possible. I bought PS3 instead of XBOX just only because of JRPG but what I get are some action games and RPG in Japanese language. English JRPG games are very rare. I think Sony should cooperate with some studio to boost up the localization of JRPG games and make some good exclusive game for their fans. Wooooooot! Amazing news. Way to turn this series around in the west. We love you guys! I don’t see why people care so much about the voice language. Just play the game and indulge in the amazing story and artstyle. If you prefer Japanese voices, go import Xillia from Japan. If they release the voices on the Playstation Store, then go ahead and buy them. It really isn’t a big deal. As for myself, I really cannot wait to get my paws on Xillia and Xillia 2! It’s also amazing that Dragon’s Crown is coming out on the same day, which means double the fun for a long, long time. Just logged in to comment to add my thanks to Namco Bandai for porting this and the original Xillia. Keep it up! OH YES I HAVE BEEN WAITED FOR THIS THANK YOU! Just 6 weeks away until Tales of Xillia! Tales of Hearts R, please!!! Thanks for this one too, but I would LOVE to play Tales games on my Vita!! Yes ! I Hope that the Code Geass will also come out NA and I Hope that Tales of I R , Tales of Hearts R & Twin Brave will come out in English Too ! But once again , Thanks ! Thanks for localizing this! Already have my CE of Xillia and Symphonia Chronicles paid off! I’ll be getting this Day 1 just like I did with Abyss and Graces f.
-sigh of relief- that’s great to hear but at the same time it brings me to this question. Will it at all be possible for us to see Tales of Hearts R or Tales of Innocence R released in NA? I think it would be amazing to get one of the tales games for the vita. And how about some avatars too. >.> not trying to sound greedy. Why isn’t this game available for preorder on the NA psn store but is on the EU store?